Good news for people who travel a lot: Your flights are about to get much more enjoyable. 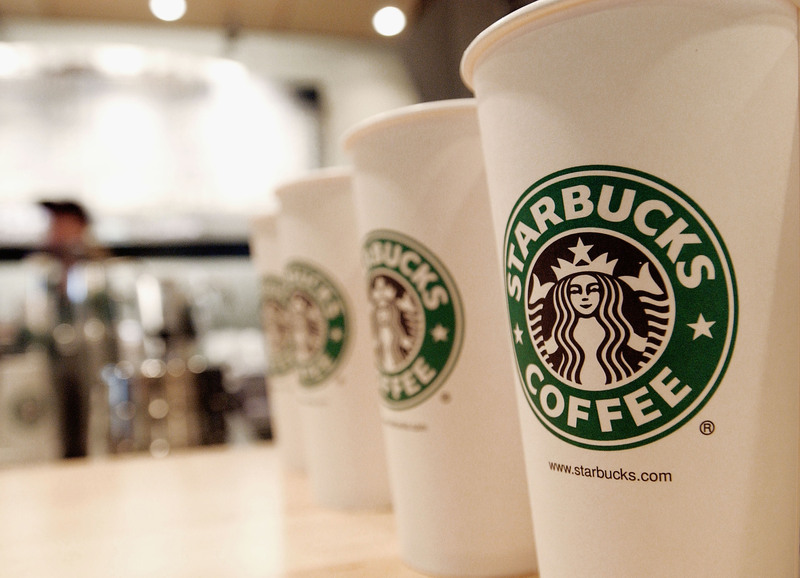 As of Sunday, February 1, Delta now serves Starbucks coffee on all of its flights. Customers will have a choice between Pike Place Roast and Starbucks VIA Ready Brew Italian Roast decaf; in case you care about what kind of receptacle you drink it out of, it will arrive at your seat served in recyclable co-branded cups. Because obviously whether or not your cup bears the Starbucks label is of the utmost importance. Or something. This isn't actually Starbucks' first appearance aboard Delta; the airline first began serving the brand's coffee on a few select routes in 2013: The West Coast Shuttle between LAX and San Francisco International Airport, and the transcontinental markets running between JFK in New York to LAX and SFO. This does, however, mark the first time the brand's coffee has been available on all Delta flights, a number which Consumerist puts at 5,000 daily. Delta is also the only major U.S. carrier to offer Starbucks, although as USA Today notes, you can also get it on Horizon Air, Alaska Air, and a few other foreign airlines. Beginning in 2011, Delta served Seattle's Best coffee — a brand which, interestingly, has been owned by Starbucks since 2003. I haven't actually drunk a lot of Seattle's Best, but Wikipedia tells me it's “generally cheaper than that of its parent, and is market as more of a working class coffee compared to the more upmarket Starbucks.” Of course, this is Wikipedia we're talking about here, so it would probably behoove us to take it with a grain of salt — but it's kind of interesting nonetheless. The Seattle's Best's roasts do differ from Starbucks', although it's probably worth noting what Thrillist found in 2014 when they had a coffee expert taste test both brands: Starbucks tastes better — or at least, it did to that particular coffee dude. In any event, the bottom line is that unless you want a fancy-schmancy latte (don't forget to tip! ), you will no longer have to shell out a couple of bucks at the airport for a cup of Starbucks to keep you going during your trip. If all you're interested in is the coffee itself, you can now get it for free on your flight, as long as you're flying Delta. Oh, and to celebrate the whole thing, Delta is hosting an Instagram and Twitter contest: All you have to do is answer the question “If you could fly anywhere Delta flies and enjoy Starbucks coffee along the way, where would you go?” and tag your response with the hashtag #DeltaCupContest. The contest runs from now until February 8; the winner will be selected at random to receive a ticket to anywhere Delta flies. Not bad, eh?